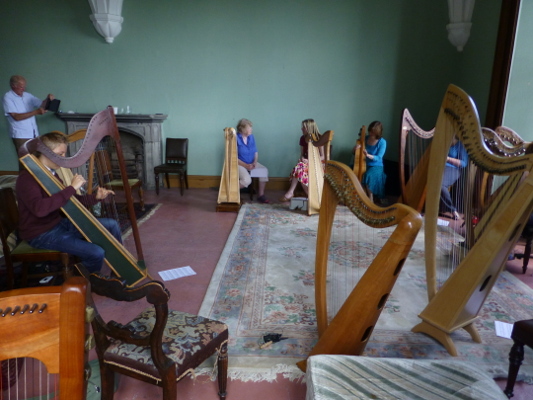 Northern Harps are running a four day clarsach course at Brancepth Castle, Durham, led by Wendy Stewart with Louise Bradley on the 9th-12th August 2018 (Thursday to Sunday). 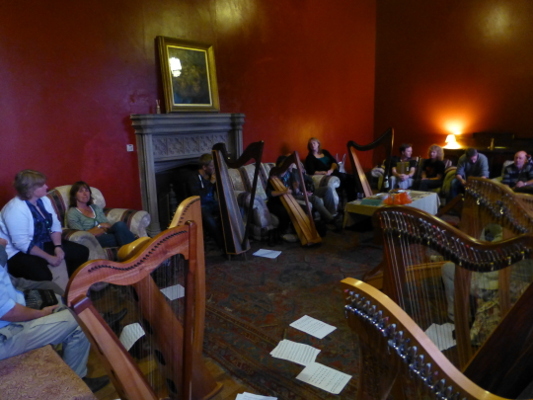 This is the eleventh year we have run this course, and the fifth year that we have had the course at Brancepeth Castle. 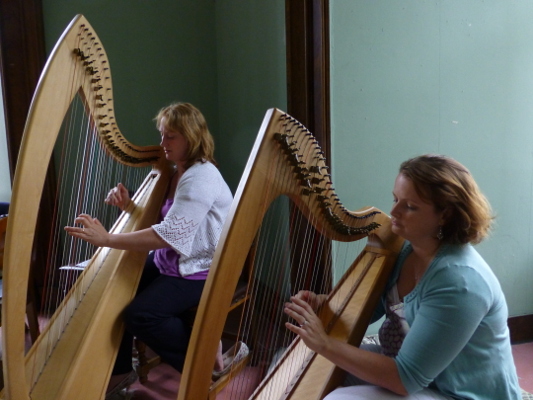 Wendy is a performer, teacher and writer of some of the best harp music in Scotland today. 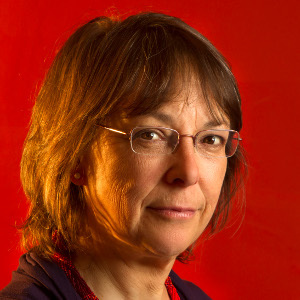 She performs and teaches the clarsach internationally, as well as recording and publishing her compositions. More details about Wendy can be found at her website. 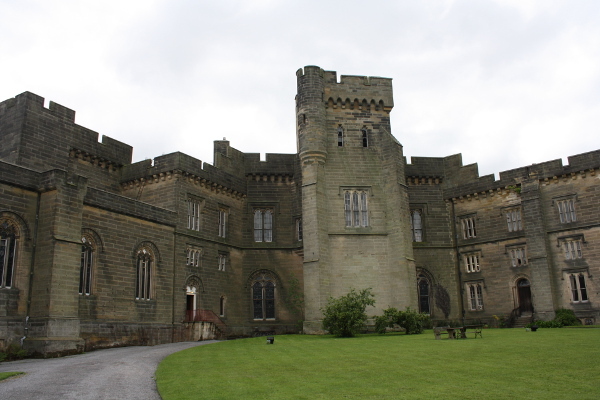 The course will take place at Brancepeth Castle in the beautiful village of Brancepeth (where else?) only 5 miles from the historic city of Durham. 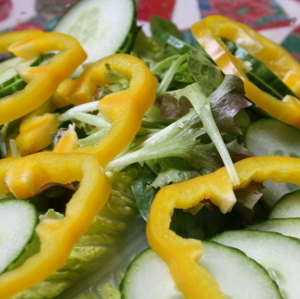 The course will cost £220, which will include four days of teaching, lunches and refreshments. We will also be running social events, so please bring family, friends and other instruments. Music will be taught by ear, with notation provided at the end of the course for those who would like it. There will be a maximum group size of 15 and there will be breakout groups with additional support. 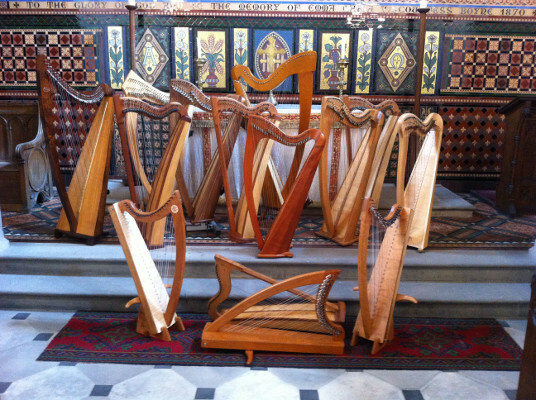 Note that you need to have some familiarity with playing the harp: this is not a course for absolute beginners. You also need to be over 16 to attend the course. 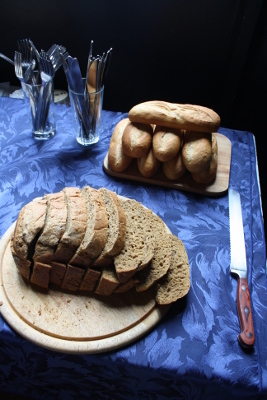 We will provide hot and cold drinks, cakes and biscuits for the teaching breaks plus lunches. 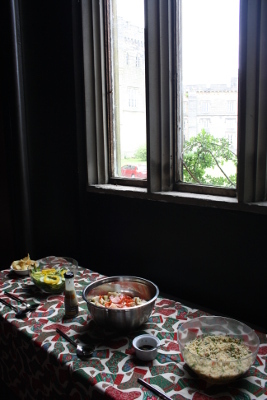 We are not providing evening meals but there are plenty of options nearby and we are happy to advise you on this. 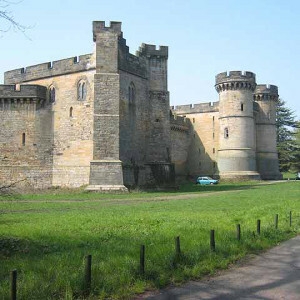 The course will be held at Brancepeth Castle, Brancepeth village, about five miles south-west of Durham city, north-east England. 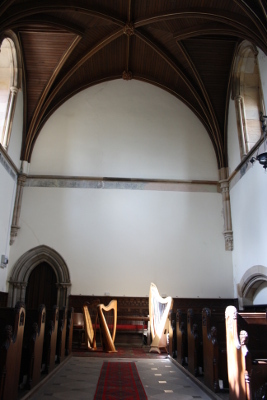 The original building dates back to Norman times, with the current building largely a renovation from the 1820s, and Grade I listed. 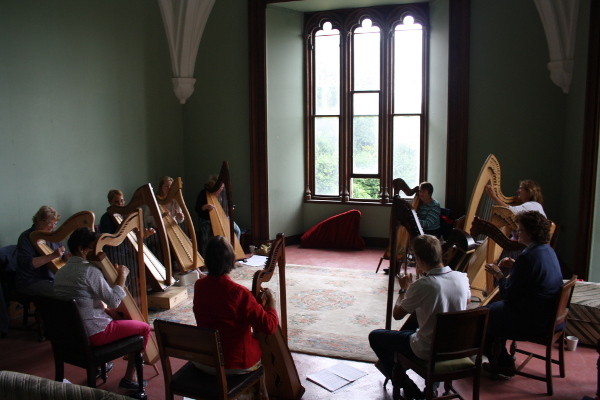 It is a dramatic and beautiful setting for our harp course, and offers us plenty of space and atmosphere. 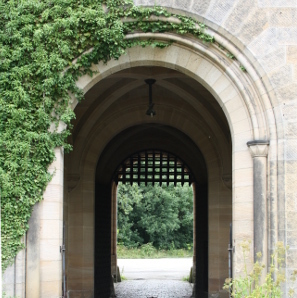 There is some accommodation in the castle itself and camping is also available in the grounds, with access to shower facilities etc inside the castle. The city of Durham is dominated by the Norman cathedral and castle, a designated world heritage site. The Durham tourist board keeps a list of other attractions in the area, including Beamish open-air museum, the North Pennines Area of Outstanding Natural beauty and Diggerland. There is also an excellent network of cycle paths. Durham station is on the east coast main line and can be reached by train from London in less than three hours and from Edinburgh in under two hours. There are also direct trains to Manchester and even Penzance! Newcastle airport and Durham Tees Valley airport give options if you are coming from further afield. If you want to come by car, it will take about 20 minutes from junction 62 of the A1. There are about three buses an hour (number 46/X46) from Durham to Brancepeth, and the castle is only a few minutes walk from the bus stop. The post code of the castle is DH7 8DF. If you are travelling north on A1M the simplest directions are to leave the motorway at Junction 61. Follow the A177 to Durham and through Durham towards Crook on the A690. The A690 passes through Brancepeth, where you turn left at the crossraods towards the castle. There is plenty of parking just outside the castle courtyard. If you are travelling from the north take Junction 62 on the A1 and follow the A690 all the way to Brancepeth. If you have a satnav then plug in the postcode and follow the back roads! 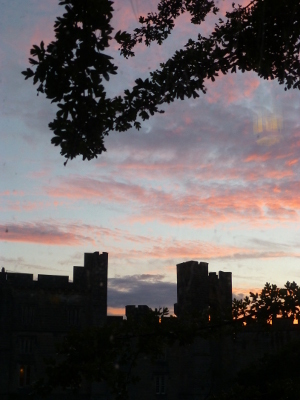 There is a limited amount of self-catering accommodation available in the castle, contact us for details. Several other of the university colleges offer bed and breakfast acoommodation. Camping is available at the castle, just ask us for details. The cost of the course is £220. 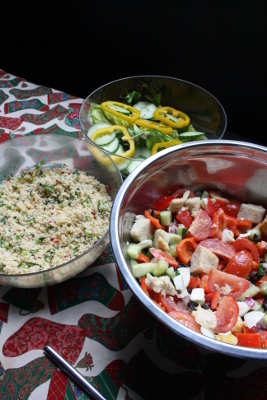 This includes tea, coffee and snacks, lunch and evening entertainments. There is a non-refundable deposit of £50 to secure your place on the course. This can be paid by cheque or by paypal. Please fill out the form below. Places will be allocated on a first come first served basis. The remainder of the fee will be payable two weeks before the course.